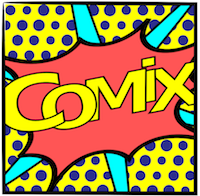 The COMiX team has been cofounded by Virginie Chamard, Marc Allain, and Patrick Ferrand. Virginie Chamard (CV) is a physicist working on x-ray coherent diffraction imaging. Marc Allain (CV) has expertise in statistical signal processing and in particular in inverse problems. They have pioneered development of 3D Bragg x-ray ptychography, a version of coherent diffraction that is becoming an essential tool for imaging crystalline materials. Patrick Ferrand works in the field of optical microscopy. His work is focused on exploring new optical imaging methods. With his colleagues, he recently introduced a vectorial formalism for ptychography, opening its application to anisotropic samples. Our aim is to increase the analytical capability of both x-ray and optical ptychography, by exploiting the similarities and complementarities of both regimes. Virginie Chamard will give an invited talk at the 2016 International Workshop on Bragg CDI, Hsinchu (Taiwan), March 2016. Virginie Chamard will give an invited talk at the congrès de l’Association Française de Cristallographie (AFC), Marseille, July 2016. Virginie Chamard will give an invited talk at 13th Biennial Conference on High-Resolution X-Ray Diffraction and Imaging (XTOP 2016), Brno, Czech Republic, 4th-8th September 2016.